OPEN HOUSE Saturday 1/5/2019 10-1. & Sunday 1/6/2019 12-3. It is wonderful when a golf course home with this type of an exceptional lot comes onto the market. Such expansive views just invites a person to sit, relax and enjoy. 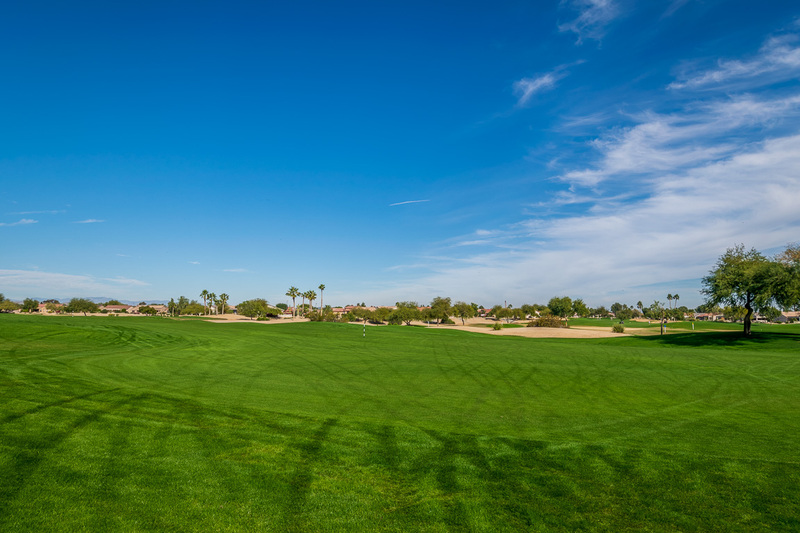 Desert Springs hole #18. The desired easterly facing patio makes for the nice morning sunrise and afternoon shade. The home features the luxury style kitchen with built in appliances, island, double wide pantry and lots of cabinets. Other fine amenities include a full 3 car garage, preferred exterior front hip roof elevation, cool decked from side walk and patio, media wall with fire place, raised panel interior doors, vaulted ceilings, generous size utility room with lots of cabinets and counter tops, energy efficiencies with dual Trane HVAC systems. Most Furniture, Furnishings & Golf Cart available outside escrow.